Cold days call for a comforting food, and nothing is more comforting than a piping hot bowl of soup. 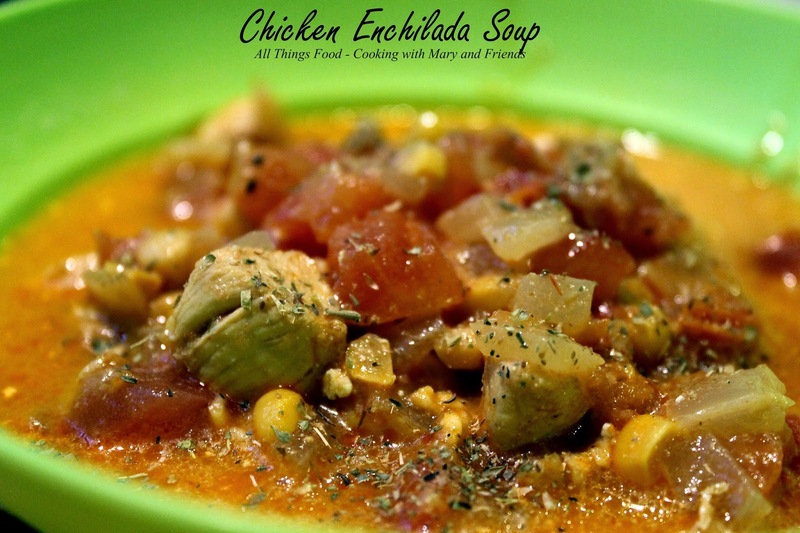 This Chicken Enchilada Soup is easy to make, a little "feisty" with some herbs and spices, and uses everyday ingredients found in most well-stocked kitchens. Add all other ingredients and bring to a boil, stirring often. 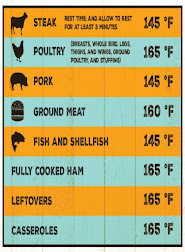 Reduce heat and simmer 30 minutes to one hour. Serve while hot with shredded cheddar cheese sprinkled on top. 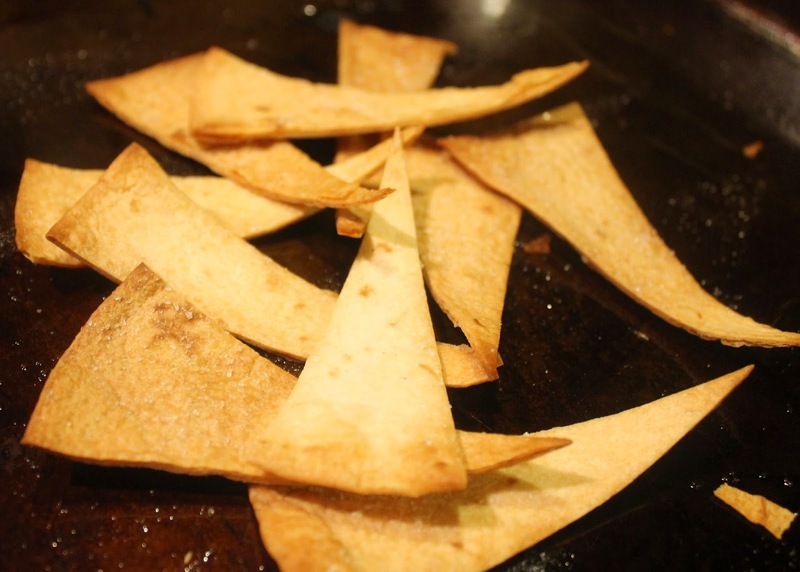 Tortilla Chips - make your own with a flour tortilla. Brush some olive oil onto the tortilla, and cut the tortilla in half and each half into half again. Cut each quarter into triangle strips. Place strips on a baking sheet, sprinkle with salt and bake in a 325 degree oven 8 minutes or until crispy. 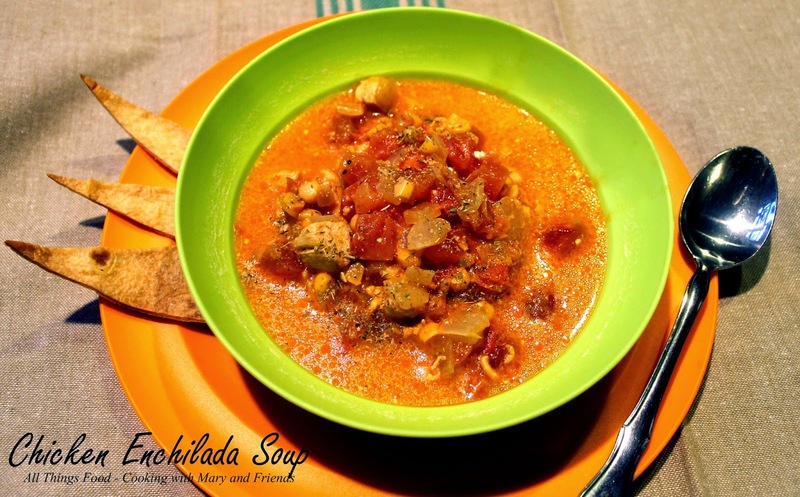 Serve tortilla chips with the soup.